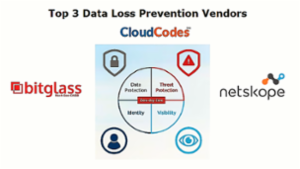 The post is going to help enterprises in learning about top 3 data loss prevention vendors. 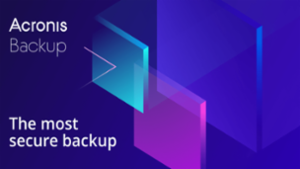 Instead of going through tons of DLP software present in the marketplace, users can evaluate the top three best data loss protection service providers and make the selection process easier. Data loss can hit a business in any number of ways, from employees accidentally deleting information and hardware failure to natural disasters and cyberattacks wiping out your systems. If your application will be used by financial auditors, then never ever use the delete functions to remove incorrect documents from your ledgers because financial auditors will require to audit, even cancel or reject documents and reasons for their rejection. It depends on local regulatory, financial data could be kept for at least N years before it can be purged. financial auditors will audit on the what, where, when, which, how of your data is being stored, modified, deleted. 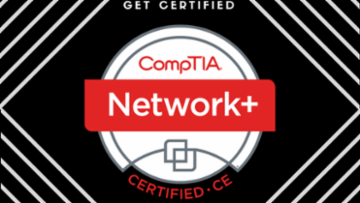 the Confidentiality, Integrity, Availability (so called CIA) should always be taken into consideration for the information system that involving data. fraud could also happen if the data integrity was compromised regardless it's whether delete query or flag tagging. 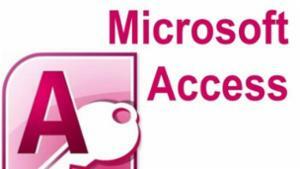 and it not only applied to MS Access but in general applied to other DBMS/ RDBMS as well. Enroll in these four OWASP courses: Avoiding Hacker Tricks, Forgery and Phishing, Proactive Controls, and Threats Fundamentals. Also learn a basic introduction to web design where you can implement these OWASP security measures. In my 23-year career as a software developer, I've noticed an imbalance of diversity in the world of technology - especially when it comes to hiring women in tech. Here's a look at ways I try to make a difference in my community and the industry as a whole. As you note, women aren't well represented in the tech field. However, skin color is relevant in that women of color are marginalized even further. While women as a group potentially experience sexism -- women of color are simultaneously exposed to both sexism and racism. The theory of intersectionality discusses this experience, but the easiest way to explain is that women of color are facing more bias and a more complex social dynamic. I couldn't have said it better, Lucas. Thank you for your insight. Women of color face both sexism and racism in the US. I'm actually speaking at Amazon re:Invent on intersectionality in tech. I hope to see you there! An informed and appropriate article. In this development process, I did not include race as a data factor, because I did not want this tool to ever racially profile individuals. Other developers from the white, male, computer-science background may not have thought of that. If you are speaking about current White Males in IT, perhaps. But why is that so? The existence of questions about Race, Gender, Ethnicity, Socio-Economic status as it exists in IT now, may need redress. that is indeed your generation's duty to do so. It is a legacy of the past, "My Generation". is to miss the point of my generation. The use of "Race" during those years in IT was never meant to "profile" with denigration. As if delimiting African Americans, Asians, American Indians, or Latinos, male or female, was the focus of the question. It was always in service of the requirements of the system, often Government Title and IRS provisions. In these cases, it was driven by the Civil Rights Acts, Gender Equality, ADA, and other inclusive targeting which came out of the changes my generation sought during the 60' and 70's. The data many of my systems collected was used for meeting the laudable ends of erasing the racial, economic, and gender lines of the prior generations (1950's and before). I and my colleagues never used our IT programming for "profiling" for negative effect! We opted for "Neutral" as in "All People" to be included, which required redress of the past, which (in an ironic way) required targeting those groups for such redress! I find it distressing that observations like the ones you make here are part of broad-brush strokes that are based on a presumption of something that is not "proven" by discovery of the past. As one of my generation that embraced the wonders of the digital age, I can certainly say that the majority of us from the 1960's on have never entertained the thought of using our systems to denigrate others based on exclusion! We also embraced those previously excluded individuals who joined our ranks. Some of the smartest and best of my colleagues were of other than white males. Were we all "perfect" according to today's standards? Of course not! We grew and changed as every generation must do The enlightenment of today did not occur overnight! It takes time! You do your older IT colleagues a disservice in their being a small part of the change that brought you to your place in the world today. As Hillary Clinton so often says "It Takes a Village". The IT Village was not founded or became what it is today if those of us before you did not embrace the "Right Things" when we saw it. I embrace what you express in your article, thank you. An Old White IT Guy Who Loves Tech, and All The People It Serves! Switching from G suite to Office 365? 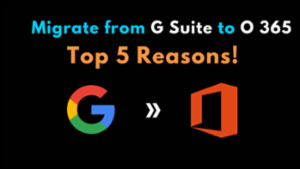 Here are the top 5 reasons you need know for G Suite to Office 365 migration, comparing all the possible factors of both Google Apps and Exchange Online. 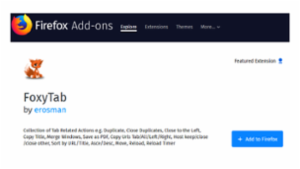 This article shows how to save the names and URLs of open Firefox tabs in a plain text file with FoxyTab, a Featured Extension. I tested it in the latest Firefox Quantum release (61.0.1 on this article's publication date), both 32-bit and 64-bit, and in Windows 7, 8.1, and 10 — all worked perfectly. This blog can help you to acquaint yourself with some of the most essential data recovery tips from an expert’s desk. Read on to learn more. A recent Pew Research Center study reveals that one in three parents expresses concern about their children’s online activity. In today’s digital world, understanding the online activity of children is part of being a parent. 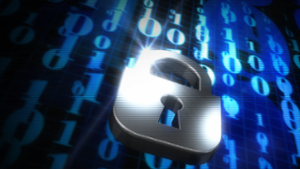 Most people understand that virus protection and software updates are important for preserving online security. However, the personal habits and actions of young Internet users can affect their safety. Busy parents don’t always have time to stay informed about the latest Internet threats, making cybersecurity experts an invaluable resource for providing online safety information about protecting children and young adults. Still, parents must remain vigilant in staying informed about what social media platforms their children use as well as explaining the primary tenets of Internet safety. Parents, as well as young Internet users, need cyber safety education. It’s important that youth understand how their social media activities affect their safety. It’s impossible to know who is reading and following media posts left by children, and security is often the last concern on the mind of an unsuspecting Internet user engaging with friends and family members. Most parents make it a point to always know the whereabouts of their children. The same concern should apply to online activity. Parents should have a presence in their children’s gaming networks and social media platforms. 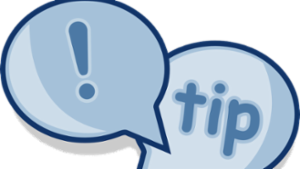 Additionally, parents should have the account and password information of their children’s online accounts. Not to spy, but to verify their activities. Furthermore, it’s incredibly easy for unscrupulous individuals to track the real-world movements of children as they check into venues using online applications by using social media platforms such as Instagram, Snapchat, Facebook, and Foursquare. Parents should do their best to teach their children about online safety. However, it shouldn’t be left to parents alone to keep their children safe online. Community advocates and cybersecurity specialists can pitch in and do their part to help keep kids safe in the digital domain. 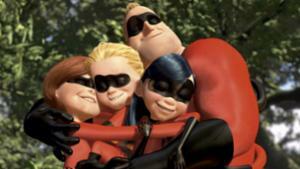 Additionally, there are paid services that parents can use to help protect their children online. Most computer literate children understand how to protect their online privacy and security. However, they only use this knowledge to keep their parents from observing their online activity. Unfortunately, most children don’t apply this same caution when engaging with strangers online. Just as they do in the real world, parents must figure out how to oversee their children’s Internet activity. Additionally, it’s important that they establish online monitoring while children are young so that it’s easier to protect them as they grow older. Research shows that parents are the best defence for protecting kids, teens and young adults online. Parents can establish a foundation for monitoring their children’s Internet activity by explaining that they want to share in their online experience, not infringe on their privacy. This process is easier if parents maintain an ongoing dialogue with their children about Internet safety. Parents must make sure that their children understand how their online activity exposes personal information about their lives that build up over time. Social monitoring apps and other resources can help parents stay informed about their children’s online behaviour and keep them safe. Experts recommend that parents monitor their children closely to protect them from inappropriate content and activities such as cyberbullying and online predators. Sometimes, dishonest individuals pose as children online. They may even encourage children to divulge personal information, such as their home address and phone number. In light of these threats, parents should always be aware of their children’s online activities, including the information that they share and the people that they engage with online. All parents want to keep their children safe as they explore the Internet, learn new things and engage with others from around the world. There are many academic institutions, community organizations and law enforcement and government agencies that provide resources that teach parents how to protect children as they browse the Internet. In fact, there are many directories with hundreds of resources from around the world that are updated frequently, and many of those resources are available in different languages. In today’s digital world, it’s vital that parents maintain an open dialogue about Internet safety. Additionally, it’s important that cybersecurity experts advocate for the safety of children as they use the Internet to enhance their lives. 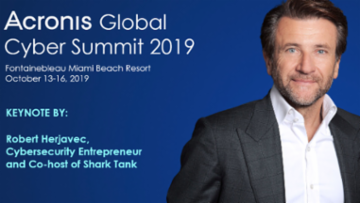 Cybersecurity experts are well aware of the dangers that children face online, and as new threats emerge daily, they continue to develop innovative solutions for protecting the public’s safety. You did a proper uninstallation of PaperPort. You even ran the official PP14 Remover Tool. 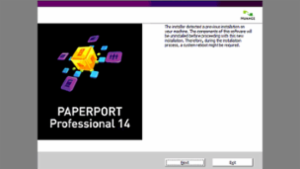 But when you try to reinstall PaperPort, you get the dialog box above, which you can't get past. 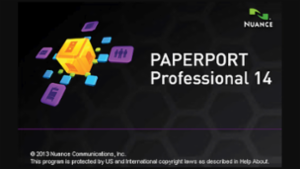 There is simply no way to install PaperPort! This article presents a solution that has worked for many PP users. Sometimes PaperPort will not even open. It displays the splash screen (above) and exits, or it may show an "Application Crash" dialog before exiting (sometimes with a dump, sometimes not). There are many reasons for this problem. 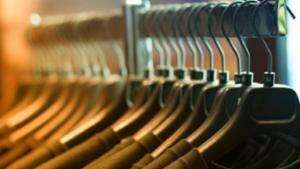 This article discusses several of them and offers possible solutions. Sometimes PaperPort will not even open. It displays the splash screen (above) and exits, or it may show an "Application Crash" dialog before exiting. There are many reasons for this, but a recent cause that has reached epidemic levels is due to an issue with Firefox. This article offers a solution. Paperport 14.5 would not load (stopped at flashscreen, no error message) after upgrading to Windows 10. Also had installed Firefox on this computer, so not sure which event caused the problem. In any case, the registry indeed had Mozilla Firefox in the browser preference. Your regedit file fixed the problem immediately and I have my Paperport back. Thank you so much! 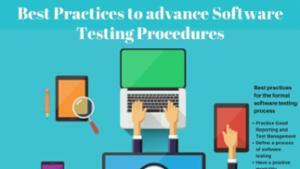 In this article, you are going to understand the different factors and elements that influence the software Quality Management Procedure while executing testing of any app, software or websites etc. To learn in-brief read further. 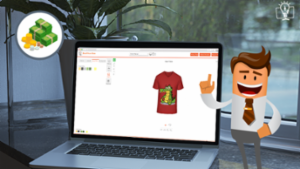 Web to Print: Are You Paying for the Right Software? With the evolving web to print industry, online businesses do understand the importance of implementing the web to print solutions. But, at the same time, there are many who provide these solutions. 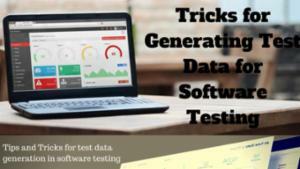 Test data generation in software testing depicts the underlying conditions for a test and speaks to the medium through which the tester impacts the product. It is a critical piece of most Functional Testing. Security on computers should be like an onion, with many layers that need to be peeled off one before the next. 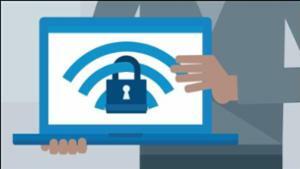 Read on to find out how to make your computer more secure. 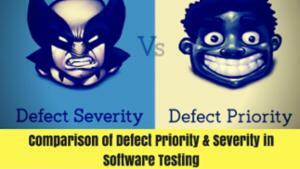 Severity and priority of defect in software testing are the two things we need to pick once the bug is found. At whatever point we discover a bug, we select the defect severity and priority. 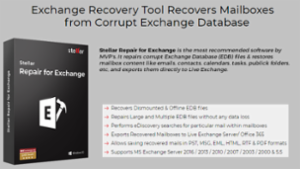 Encountering issues like sudden system shutdown, damage in one or more files, or accidental deletion, is common in the Exchange environment. And while manual techniques like PowerShell commands and Exchange Management Shell are easily available, they often don’t prove to be accurate and effective. 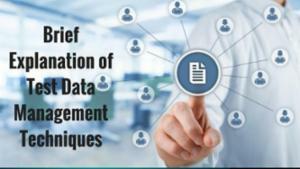 Test data management techniques are extremely important while the testing software development lifecycle. 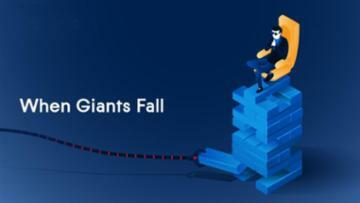 The measure of data that is produced is colossal for testing the application. 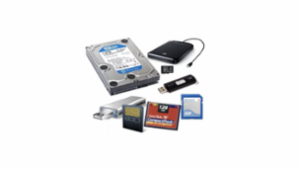 Lost your data lately, thus looking for a data recovery software. 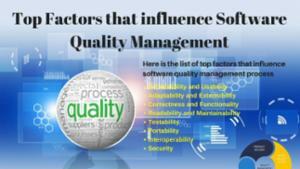 In this blog, there is an earnest attempt to jot down five vital things you must look in the software before buying it. The more you yourself learn about multi-level marketing, the more the chances of you accomplishing great heights and success for earning some good extra bucks for the future of the family. 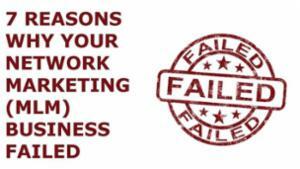 7 Reasons why MLM Fails! Nothing can be perfect in this universe and Multi-Level Marketing is no exception to it. 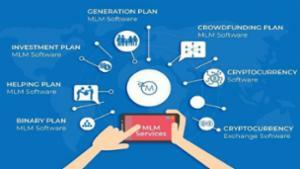 MLM Business may look like a promising business model and no doubt it is gaining popularity in the market, but the fact that it brings a sense of fear with it is not hidden from anyone.